Posted by: Ash on August 10th, 2016, in Guides. Tags: Amazon Rainforest, Lodges, Protected Areas, Puerto Maldonado, Tambopata. There are some fantastic Puerto Maldonado jungle lodges, as the region is home to some of the most biologically diverse and wildlife-rich protected areas in the Amazon. Located near to Puerto Maldonado, you can find Tambopata National Reserve and the Manu Rainforest surrounding Manu National Park. This section of the Amazon Rainforest has the most clay licks in Amazonia where different macaws, parrots, monkeys, capybara and tapir visit to obtain much-needed salts and medicine to neutralize toxins found in their rainforest diet. This means tour operators can build their lodges near the licks in a responsible manner for almost guaranteed wildlife sightings. This section of the of the rainforest is also a great place to find many different oxbow lakes, such as Lake Sandoval and Lake Tres Chimbadas in Tambopata and Lake Salvador in the Manu rainforest. One of the deepest jungle lodges in the Amazon Rainforest, the Tambopata Research Center is positioned near one of Amazonia’s largest clay licks where hundreds of bright and colorful macaw parrots gather at the clay. Because this is a deep Amazon lodge, from Puerto Maldonado you will first travel to the Refugio Amazonas Lodge and then travel the next day to the Tambopata Research Center. This is a fantastic stop-over as you can enjoy the Refugio’s canopy tower, spa room, and a variety of add-on activities. The parrots are the main reason researchers are drawn to the Tambopata Research Center to study macaw behavior and ecology, which means guests can interact with people studying the birds to learn more about these wonderful parrots. You can also choose from a variety of extra activities, such as birdwatching, night walks and a sunset cruise. Because the Tambopata Research Center is located deep in the center of Tambopata National Reserve, the animals and plants are at carrying capacity for the environment. This means you will find one of the richest areas of animals. Also, to bump up the animals to see, the lodge is located near a diversity of habitats, such as terra firma, bamboo, floodplain, palm and riverine rainforest. Enjoy small-group guided tours in the Tambopata National Reserve to see a range of animals, such as many different monkeys, parrots, toucans, many colorful birds, and different mammals making their way through the forest. Some guests to the Tambopata Research Center are even lucky enough to see jaguar sunning themselves by the river. The rooms at the Tambopata Research Center are styled to keep you connected with this incredible environment. The rooms open our onto the rainforest and guests can often see wildlife from the comfort of their accommodation. The Manu Park Wildlife Center or Albergue Machiguenga is a low-impact lodge located inside the Reserved Zone of Manu National Park. Because guests are only permitted in the national park for a few days, the Manu Park Wildlife Center is offered as a combination program with the Manu Wildlife Center on a tour named the Manu Adventurer. This low-impact Manu tented camp is nearby the best wildlife area in the national park at Lake Salvador. This is the largest and most wildlife-rich oxbow lake on the Manu River and we will visit the area to find many different animals, including the much-loved giant river otters. 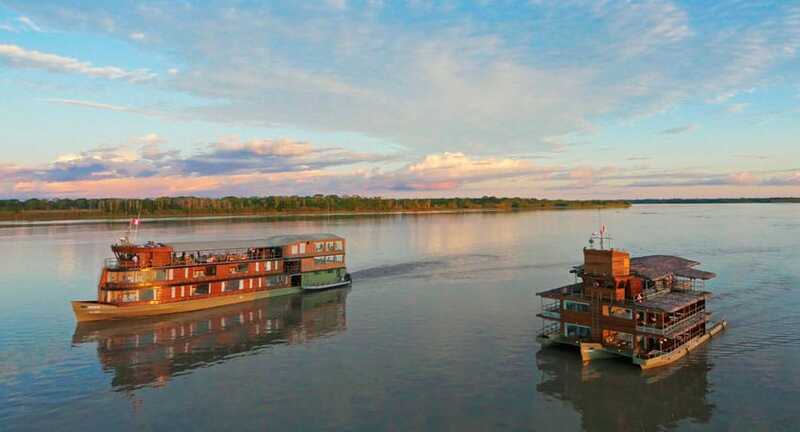 On the Manu Adventurer, enjoy seeing giant otters in Lake Salvador within Manu Reserved Zone, see tapir at the tapir clay lick, enjoy the large colorful macaws at the macaw clay lick, and have a possibility of seeing jaguar. Each of the spacious tents has been carefully designed to offer comfort while maintaining a high level of sensitivity and responsibility for the surrounding Amazon Rainforest. Each of the double-occupancy room-size tents have hinged, lockable doors and solid wooden floors. The tents measure 16.5x10x7 feet (5x3x2.2m), are raised above the rainforest floor, and are fully screened to keep you comfortable on your stay in the jungle. The camp then features private hot-water showers and flush toilets. Offering more privacy and comfort, the Amazon Villa offers a premium and exclusive experience of the Amazon Rainforest from Puerto Maldonado. The Amazon Villa is positioned in the buffer zone of Tambopata National Reserve. With your own exclusive bungalow, wifi internet, bath, and very comfortable suites, you can take things at your own pace while relaxing in the Amazon. Enjoy private dinners and private transfers between the lodge and Puerto Maldonado at the beginning and end of your experience in Tambopata. Choose from a variety of activities, such as rainforest walks to find many different animals or a range of more adventurous offerings. Because the Amazon Villa is located near the Refugio Amazonas mentioned above, you are more than welcome to visit to socialize for meals or choose to enjoy the privacy and tranquility of personal service. A great lodge for an introduction to the Amazon Rainforest and ideal for family adventures, the Refugio Amazonas Lodge sits in the buffer zone of the Tambopata National Reserve. Both the Posada Amazonas Lodge and Refugio Amazonas Lodge are often offered interchangeably as they offer a similar experience. Enjoy a canopy tower to see out over the Amazon Rainforest, which is a great place to see different colorful birds, such as mixed species flocks, toucans, and parrots. You can also see troops of monkeys making their way through the canopy ecosystem. Explore the Amazon Rainforest on guided trail walks through the jungle to find several different monkeys, such as capuchins, squirrel monkeys, tamarins, marmosets, and howler monkeys. This is also a good place to see the iconic harpy eagles as nests are regularly found and it seems a preferred nesting area. There is also a small clay lick to see different parrots and monkeys visiting the clay. The Refugio Amazonas Lodge is also one of the only lodges in the Amazon with a trail designed specifically for children to teach about the Amazon in a relatable way. You can also enjoy the Refugio’s spa room for a massage or variety of different rainforest treatments to help you relax surrounded by rainforest. From the Manu Wildlife Center, you can enjoy a large macaw clay lick to see hundreds of different macaw parrots, enjoy lake tours, and even visit a tapir clay lick to wait for the largest land mammal in South America. The Manu Wildlife Center is positioned near these clay licks and a beautiful Amazon lake in the Amarakaeri Reserved Zone. This is a protected area of continuous rainforest with the Manu National Park. Visitors are not permitted into the Manu National Park itself, but if you want to visit the Reserved Zone (stays of a few days are allowed), you can combine Manu Wildlife Center with the Manu Tented Camp on the Manu Adventurer. On guided tours led by highly experienced Amazon guides, enjoy spotting howler monkeys, capuchins, titi monkeys, tanagers, parrots, macaws, tree frogs as we make our way through the rainforest. Close to the Manu Wildlife Center, there are miles of trails winding their way through the Amazon you can enjoy to spot many different animals, butterflies, and fascinating plants. To reach the lodge, you will arrive first in Puerto Maldonado and travel down the mighty Madre de Dios River to the Amarakaeri Reserved Zone of the Manu rainforest. Regular departures are from March through December, but private departures can be booked throughout the year. The only lodge on the Heath River, the Heath River Wildlife Center is positioned between the Tambopata National Reserve and the Madidi National Park in continuous rainforest. You can enjoy spotting some fantastic and iconic animals of Amazonia, such as many different macaw parrots, monkeys, and tours to a clay lick visited by tapir. One of the advantages of the Heath River Wildlife Center for seeing a macaw clay lick is that you will observe the macaws from a floating hide, which means you can get a little closer to the birds without disturbing their behavior. This means it’s one of the best clay licks for photographers who don’t have the zoom capability on their camera. In addition to the clay licks, enjoy guided tours through the Amazon Rainforest on many different rainforest trails to find a high diversity of animals and plants. 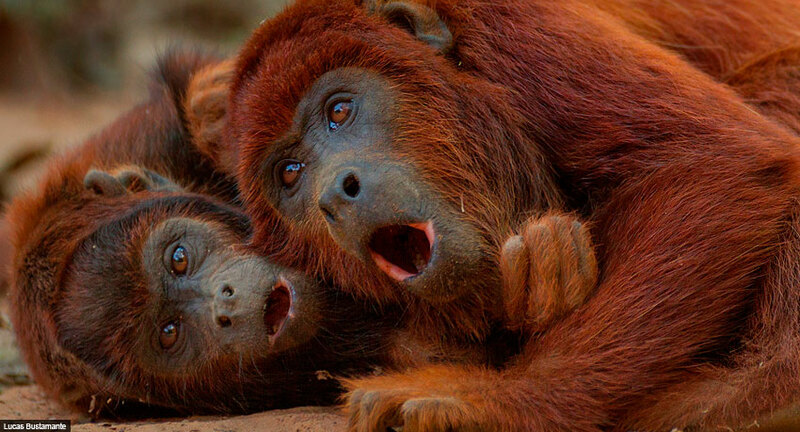 Enjoy spotting a variety of monkeys, including howler monkeys, capuchins, squirrel monkeys, titi monkeys, tamarins, and marmosets. This is also a great place to see some savannah habitat, which you can visit from the lodge. Camera traps have recently shown evidence of the elegant maned wolves living in the area and you can enjoy a tower to look out over the habitat. A community owned lodge and only 45 minutes from Puerto Maldonado, the Posada Amazonas Lodge is a great place to enjoy the Amazon Rainforest. 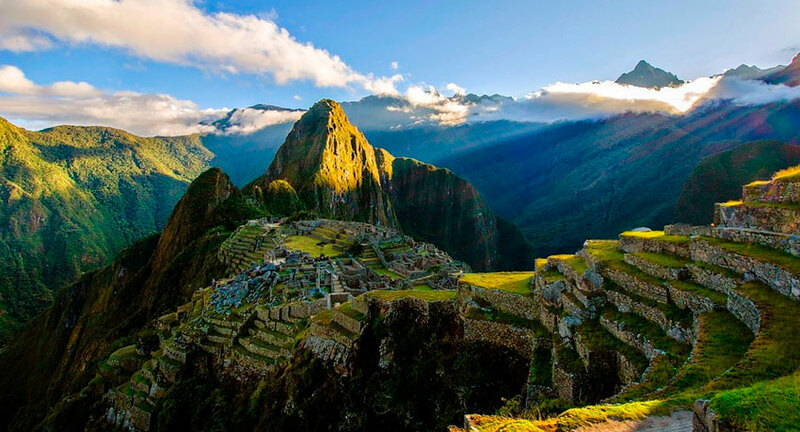 Enjoy guided trail walks, visiting an Amazon lake, and climbing a fantastic canopy tower. The lake near the Posada Amazonas Lodge is a good place to spot giant river otters and a number of lake-living birds. This is a great lodge to enjoy on a short 2 or 3 day Amazon Rainforest tour where you will tour the rainforest with your Amazon guide. Enjoy spotting several different monkeys, such as howler monkeys, tamarins, and squirrel monkeys, plus a number of other animals. You can see a small clay lick, which peccaries and different monkeys visit to obtain their salts, and climb a canopy tower to see out over the Amazon rainforest. You have a choice of different rooms at the Posada Amazonas Lodge from classic, premium, or superior accommodation. You can also enjoy wireless internet while back at the lodge to relax and share photos with family and friends after your adventure in the rainforest. On guided rainforest walks, tour the many rainforest trails both on day walks and night walks to see night-active wildlife. Explore the lake being paddled around by catamaran by your rainforest guide to see the resident family of giant otters, horned screamers, caiman crocodiles, and hoatzin birds. In addition to wildlife, you can enjoy cultural activities, such as visiting a working community farm and ethnobotanical trail. 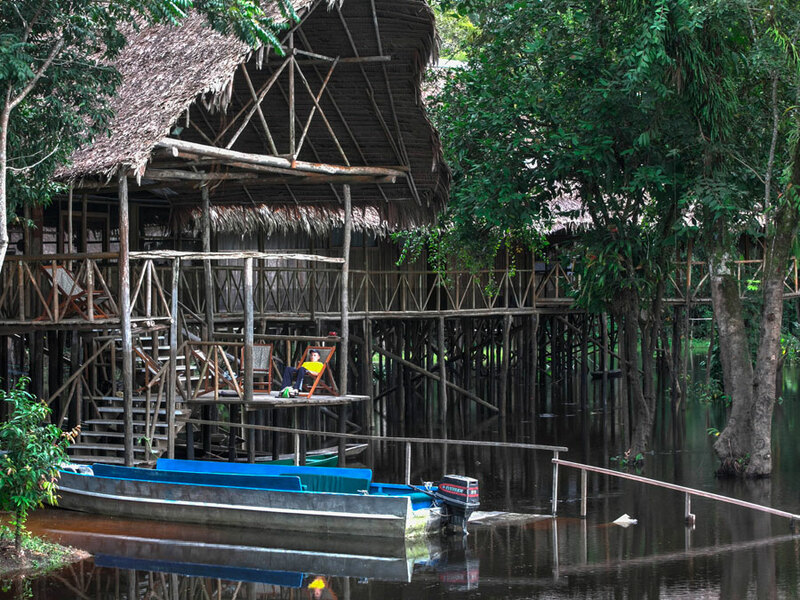 Located 20 minutes from Puerto Maldonado, the Sandoval Lake Lodge is within the incredibly diverse Tambopata National Reserve and on the bank of one of the Amazon’s most wildlife-filled lakes and lakeside forests. These reasons combined mean the Sandoval Lake Lodge is such a great choice for a short 2 or 3-day tour. 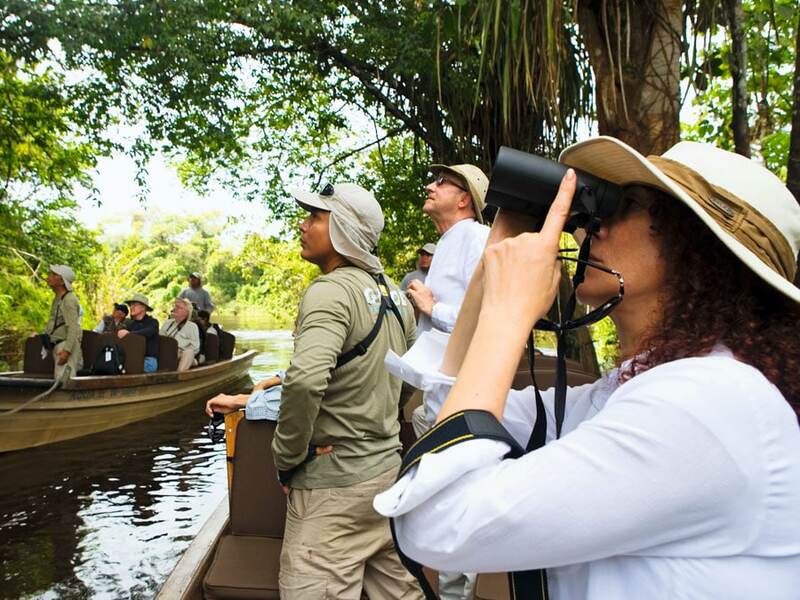 Enjoy guided lake excursions each morning to spot different monkeys, such as howler monkeys, capuchins, titi monkeys, and squirrel monkeys, plus many more. The stars of the lake are the resident family of giant river otters, which play, hunt, and rest in the lake. Sharing the water are black caiman, which you can spot on night excursions, arapaima giant fish, and prehistoric-looking hoatzin birds at the lake edge. In the branches above the lake, you can see different colorful birds like toucans, macaws, different parrots, and others. There is a nesting site near the lake of scarlet macaws and you can often spot these on short trail walks around the lodge. Here are the above Puerto Maldonado Jungle Lodges in summary form.